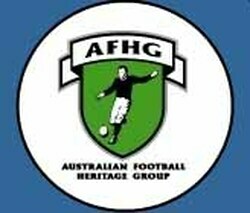 The Victorian Football Association (VFA) has had a long and varied role in representative football and, together with the South Australian Football Association (forerunner of today's SANFL), in 1879 they played the very first intercolonial match of Australian football. The VFA also served as the governing body of Victorian football from 1877 to 1896 yet many modern fans have been deluded into thinking top level football in Victoria started in 1897, when eight VFA clubs broke away to form the VFL. Today, after well over 100 seasons of play the VFA (renamed the VFL in 1996) currently sits on the second tier of Australian football, acting as a feeder competition for the national league (AFL). Their representative team plays annual matches against the other major State Leagues from around Australia - the SANFL, the WAFL, the TSL and the NEAFL.